While there are many uses to DD-WRT we will explain how to use it as a Wireless Repeater (Extender) to an existing WLAN without the use of WDS. You can create more then one Virtual WLAN with different SSID/Security Settings and have several WLANs broadcasting from the same DD-WRT device. Just don’t overload the CPU otherwise it will freeze every few minutes. 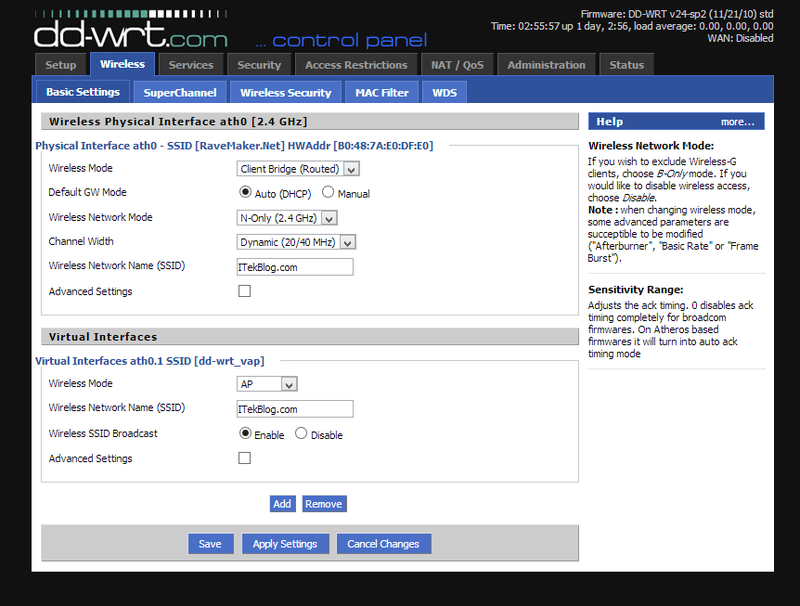 We will assume a clear default settings start and a cable connected directly to the DD-WRT router. Don’t apply settings until you are done configuring, use save between steps.